This month two major U.S. groups have reiterated pleas to Congress to promote U.S. trade and travel with Cuba. They are the United States Agricultural Coalition for Cuba and Engage Cuba. Here is a report on those efforts. On June 8, 2015, the Agricultural Coalition, an association of more than 90 U.S. agricultural companies and state and national organizations committed to normalizing exports of food and agricultural products to Cuba, sent a letter to the U.S. Senate Foreign Relations. This coalition on June 16 started an ad campaign called “Guess What?” that is being broadcast on Fox News, MSNBC and CNBC. It calls for ending travel and trade bans on Cuba. This theme about pending legislation was expanded in a June 16 article by Williams and two other Engage Cuba leaders (Steven Law and Luke Albee). They said, “While there are plenty of big fights still to be had, bipartisan progress is clearly emerging on an unlikely issue: Cuba policy.” As “examples of seeking compromise and working across party lines,” they cited the bill to end the ban on U.S. travel (S.299) offered by Republican Senator Jeff Flake (AZ) and Democratic Senator Patrick Leahy (VT) and the recent bill to end the embargo (S.1543) offered by Republican Senator Jerry Moran (KS) and Independent Senator Angus King (ME). On January 15, Senator Jeff Flake (Rep., AZ) hosted a party at a Washington, D.C. bar to celebrate the launching of Engage Cuba. 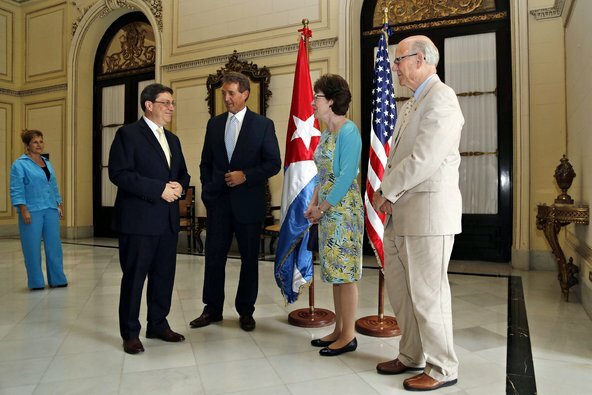 People from that coalition were joined by other senators; Roberta S. Jacobson, the Assistant Secretary of State for Western Hemisphere Affairs and the U.S.’ chief negotiator in the Cuba talks; and José Ramón Cabañas Rodriguez, Cuba’s ambassador-in-waiting as chief of mission at the Cuban Interests Section in Washington. All supporters of U.S.-Cuba reconciliation should thank both of these organizations for their efforts to do the same while also urging their Senators and Representatives to oppose the House Republican rear-guard efforts. This Agricultural Coalition letter was the subject of an article in Cuba’s state-owned newspaper, Granma: U.S. agricultural coalition opposes trade and travel restrictions against Cuba. Granma (June 15, 2015) Prior posts discussed the Coalition’s January 2015 launching and its March 2015 trip to Cuba. Pending policy bills against reconciliation and the anti-reconciliation inserts in appropriations bills have been discussed in posts on May 26 and 28 and June 2, 10, 12 and 16. Torres, Major U.S. companies support new group that will lobby to lift sanctions against Cuba, Miami Herald (June 16, 2015). A prior post discussed the organization of Engage Cuba. Engage Cuba already helped helping negotiate an agreement between the Florida-based Stonegate Bank and the Cuban Interests Section in Washington to resume bank transactions for the Cuban diplomatic mission, an essential requirement for the reestablishment of diplomatic relations and the conversion of the Section to the Cuban Embassy. The group’s website has a useful page of Facts about public opinion on reconciliation in the U.S. and in Cuba, the potential Cuban market for U.S. products and services, statements of prominent individuals supporting reconciliation and lists of reconciliation-supportive businesses, agricultural organizations, faith-based and religious organizations, human rights, development and policy organizations, and labor, environmental and travel organizations. Another useful feature of the website is a form for individuals to send an email to their members of Congress. The TV ad itself is available online, and the ad is a subject of a press release from the group. Williams, Law & Albee, On Cuba, a bipartisan path emerges, The Hill (June 16, 2015). On June 10, 2015, Senator Jerry Moran (Rep., KS) introduced S.1543 Cuba Trade Act of 2015 to end the U.S. embargo of Cuba. 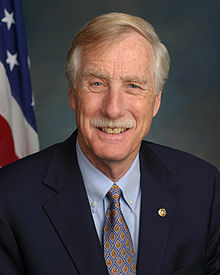 With Senator Angus King (Ind., ME) as the cosponsor, the bill was referred to the Senate Committee on Banking, Housing, and Urban Affairs, which has not taken any action on S.491, the bill to end the embargo that was introduced in February by Senator Amy Klobuchar (Dem., MN) that was discussed in a prior post. More specifically, S.1543 repeals restrictions on trade with Cuba under the Foreign Assistance Act of 1961, the Cuban Democracy Act of 1992, the Cuban Liberty and Democratic Solidarity (LIBERTAD) Act of 1996; and the Trade Sanctions Reform and Export Enhancement Act of 2000. In addition, S.1543 has provisions whereby the federal government may not obligate or expend any funds to promote trade with or develop markets in Cuba, except for certain commodity promotion programs. These were important provisions. 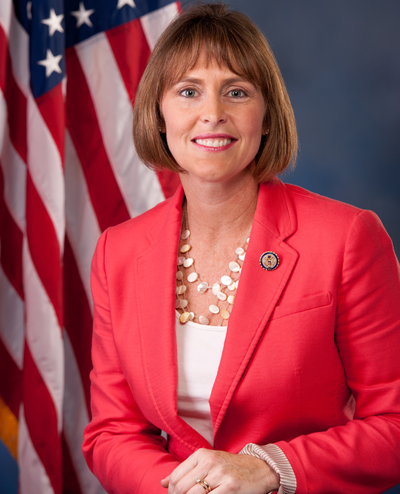 Moran’s office called them “taxpayer protection provisions” that observers see as ways to win over reluctant Republicans support for ending the embargo. I hope that having a Republican author of a bill to end the embargo and this bill’s taxpayer protection provisions will enhance the chances of this Republican-controlled Senate endorsing the ending of the embargo. And then enhance the chances of the Republican-controlled House of Representatives doing the same. Senator King issued a similar press release. 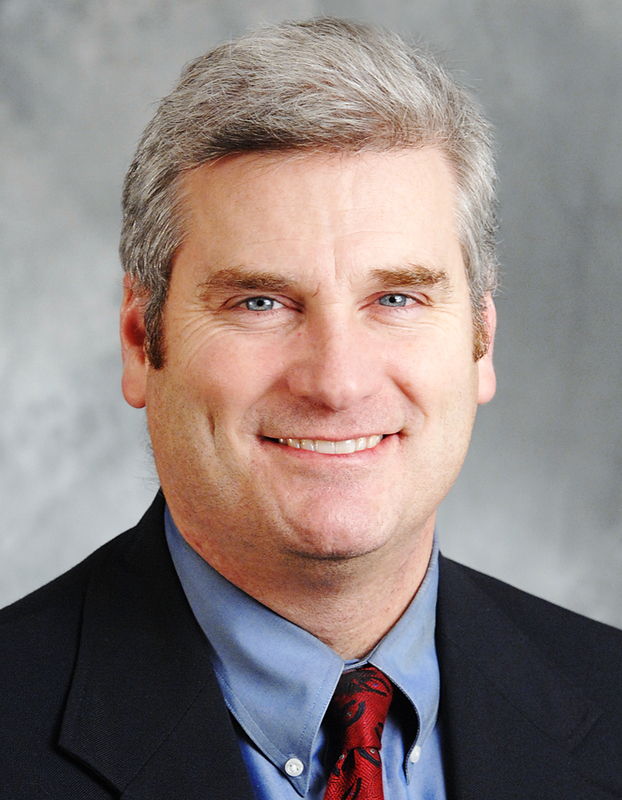 In early January Senator Moran spoke in favor of ending the embargo at the early January 2015 launching of the United States Agricultural Coalition for Cuba that favors ending the embargo.